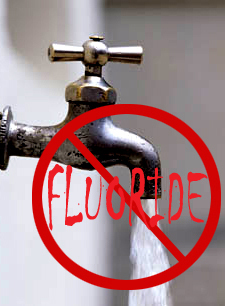 Why are people filtering out fluoride from their water? Why are people adding fluoride to the water in the first place? What concentration of fluoride is deemed unhealthy? What can cause these high levels of fluoride to occur in the water? What other household items contain fluoride/fluorine? Are there documentation or warnings of any adverse health effects from having fluoride in the water? 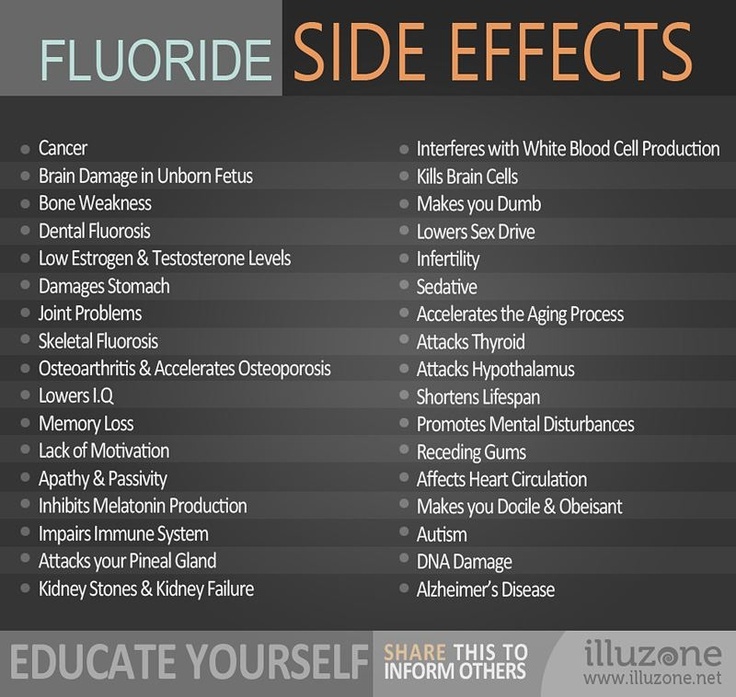 There have been numerous reports over the years linking fluoride in our water supply to various adverse health effects with humans and animals including: bone cell disorders, dental fluorosis, osteoporosis, skeletal fluorosis, arthritis, hypoactive thyroid, obesity, depression, brain damage, suppressed immune function, mottled teeth/tooth discoloration, cellular damage, poison kidney function, and renal osteodystrophy. As a result, more and more people want to filter out the fluoride in their drinking and bathing water. Municipal water treatment plants have historically added fluoride to the water to help prevent tooth decay, and they try to maintain a level of 1.5 - 2.5 mg/L (or 1.5 - 2.5 ppm). The MCL (Maximum Contaminant Level) of Fluoride established for drinking water by the U.S. EPA (United States Environmental Protection Agency) is 4 mg/L (or 4ppm). 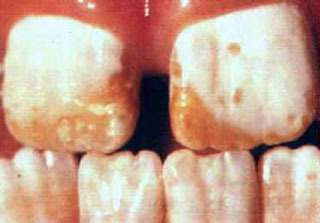 Water concentrations of Fluoride above 5 mg/L (or 5ppm) is detrimental to ones tooth structure and overall health. High concentrations are contained in waste water from the manufacture of glass, steel, aluminum, and foundry operations. Healthy natural, organic fluorine is present in food items such as fruits, vegetables, and nuts. Unhealthy inorganic fluorine, known as Fluoride (or other chemical names such as Sodium Fluoride (i.e. NaF or Na-F), HydroFluoSilicic acid (HFS), or Sodium SilicoFluoride (SSF)), is a waste product of aluminum and is found in toothpaste, fertilizers and some rat poisons. "This is an alert about your drinking water and a cosmetic dental problem that might affect children under nine years of age. At low levels, fluoride can help prevent cavities, but children drinking water containing more than 2 mg/L of fluoride may develop cosmetic discoloration of their teeth (dental fluorosis). 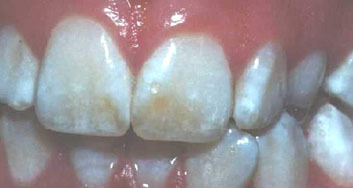 Dental fluorosis, in its moderate or severe forms, may result in a brown staining and/or pitting of the permanent teeth. 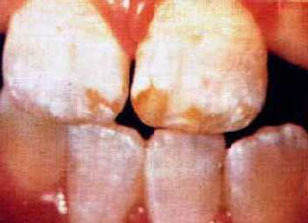 This problem occurs only in developing teeth, before they erupt from the gums. Children under nine should be provided with alternative sources of drinking water or water that has been treated to remove fluoride to avoid the possibility of staining and pitting of their permanent teeth. You may also want to contact your dentist about proper use by young children of fluoride-containing products. Older children and adults may safely drink the water. Drinking water containing more than 4 mg/L of fluoride (the U.S. Environmental Protection Agency's drinking water standard) can increase your risk of developing bone disease. Your drinking water does not contain more than 4 mg/L of fluoride, but were required to notify you when we discover that the fluoride levels in your water exceed 2 mg/L because of this cosmetic dental problem. Some home water treatment units are also available to remove fluoride from your drinking water." "Dental fluorosis is a reflection of what's happening in our bones and is the first visible sign of fluoride poisoning." "...Fluoride mineralizes the tendons, and muscles and ligaments, making them crackly and painful and inflexible. At the same time fluoride interferes with mineralization of bones and teeth, causing osteoporosis and mottling or dental fluorosis...."
"Toothpaste with fluoride is deadly. I categorically 100 percent recommend that no one should be using toothpaste with fluoride in it. As always, I recommend that you stay away from any product manufactured by a large publicly traded corporation. Publicly traded corporations have only one goal, and that is to make money. They will cut corners at every chance and spend the majority of their money on marketing and packaging, not on the quality of the product. They will do everything they can to produce that product at the lowest possible cost, thus ensuring that the natural state and quality is adversely affected. Therefore, it is imperative that you stay away from toothpaste sold by large publicly traded companies, and stay away from any toothpaste that has fluoride in it. Fluoride is a dangerous, poisonous chemical. It is so deadly that even the smallest amount, if consumed, can kill you. It causes all types of physiological problems; the most notable is that fluoride reduces the ability of the thyroid gland to operate correctly, creating a condition known as a hypoactive thyroid, or an underactive thyroid. When your thyroid is not acting properly, your metabolism is very slow, causing you to gain weight. Fluoride in toothpaste and fluoride in the water is one of the major reasons why we have such obesity levels in America today. In communities that have the highest amounts of fluoride in their water supply, there are also the highest amounts of obesity and a host of other diseases. The link is indisputable. You should brush your teeth at least twice a day the first thing in the morning and before you go to bed, and ideally, you should brush your teeth after every meal. Keep in mind, however, that animals in the wild do not brush their teeth. Animals in the wild are eating raw, very hard crunchy material, thus cleaning their teeth on a regular basis. Animals in the wild also do not consume the manmade processed food that cause tooth decay and gum disease. If you want a beautiful healthy smile, brush your teeth, but use a toothpaste that is 100 percent all-natural and has ingredients that you can pronounce. I vary my toothpaste from time to time. When I finish one tube I go to the health food store, see what is available, and I read the ingredient list. If there are only two or three ingredients that I can read and pronounce and the company is a small independently owned business, I try that product. You should do the same. 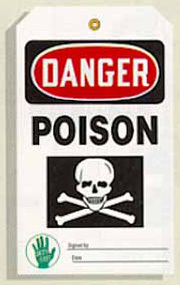 Even a small amount of poisons in your mouth will get into your entire system. Repeatedly using fluoride toothpaste or toothpaste produced by large publicly traded corporations suppresses your immune system, makes you depressed, and can even make you fat." "All tap water is poisonous. All tap water is loaded with chlorine and chlorine by-products. Chlorine scars your arteries and, along with hydrogenated oil and homogenized dairy products, causes heart disease. Most tap water also has fluoride, which is one of the most poisonous and disease causing agents you can put in your body. Do not drink or use tap water for any reason except for washing your floor. You need to drink water, and the water must be pure. Water is instrumental not only in flushing and nourishing the body, but also in keeping it hydrated and pH balanced. I recommend drinking a minimum of six large glasses of water per day. It is said that approximately 2 out of every 3 people will battle cancer or some other chronic disease in their lifetime. With the odds of getting cancer or some other chronic disease so high, doesn't it make sense to minimize the overall toxin load on our body? Afterall, the value of a longer and healthier life for family and loved ones is priceless, isn't it?" More and more people are asking themselves serious questions and seeking serious answers about the Fluoride in their drinking and bathing water...is it dangerous?...toxic or poisonous?...will it give me cancer or some other chronic or deadly disease?...will it harm my family and loved ones? The following information and links will help you get the truthful answers you need and rightfully deserve.